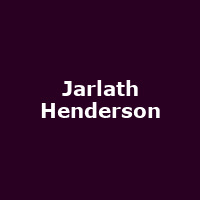 Jarlath Henderson is a BBC Young Folk Musician award-winning singer, multi-instrumentalist, composer and producer - one half of the duo, Ross Ainslie and Jarlath Henderson. In 2003 he became the youngest ever winner at the BBC Young Folk Musician awards. He released his debut solo album, "Hearts Broken, Heads Turned" in 2016.